The last month in Washington DC has been chaotic, with a partial government shutdown that will likely not see a resolution in some time. 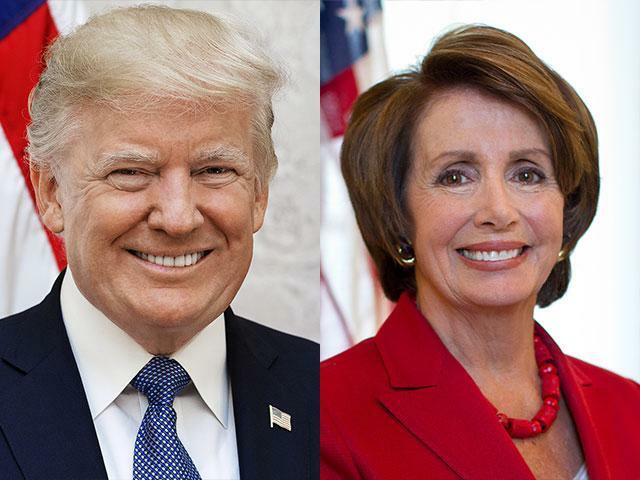 800,000 federal employees have gone a week without a paycheck, as Speaker Nancy Pelosi and President Donald are playing childish gotcha games hoping that the other blinks first. The Rye Record has heard through a White House source, that the two opposing leaders would be willing to compromise on building a wall if it wasn’t preventing illegal aliens from entering the country. On February 1st, Pelosi and Trump will come to Rye, NY to assess the crumbling sea wall. The Democrat and Republican couldn’t agree on materials, type of workers or budget for this faulty structure. So dividing the wall where each party can construct a unique barrier will most likely occur. Pelosi, who has plenty experience building walls as her Marin County estate sports an impressive steel structure, has already enlisted a geological team in preparation. This maritime hurdle will be grossly over budget and delayed but will be work. An anonymous source (ok, CNN’S Jim Acosta) has reported that Trump has etched his name into the cherry trees on the south lawn with the simple tag line Trump was Here. Since the President is not allowed to permanently engrave his name into any White House structure, he is over the moon about this upcoming wall project. It will be magnificent, terrific, beautiful, stupendous, huge, and big league. No amount of gold will be spared, and the name Trump will be displayed 37 times throughout this monstrosity. Two diametrically opposed walls will be built without solving Rye’s sea wall crisis and more division will ensue. Maybe will we elect leaders in 2020 to solve problems, maybe not.